CarFax One Owner! PRICED TO SELL QUICKLY! Research suggests it will not be available for long. Low miles for a 2013! 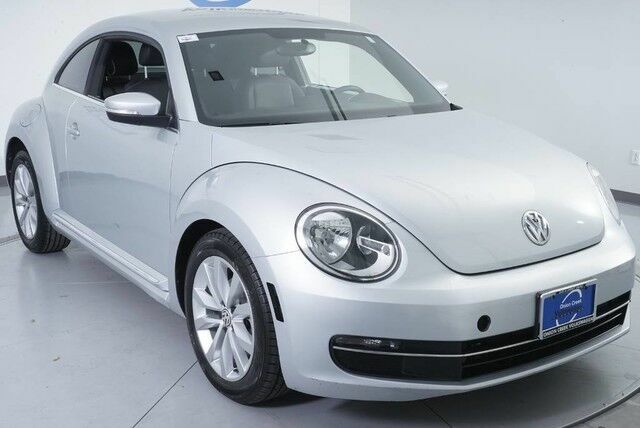 Bluetooth, This 2013 Volkswagen Beetle Coupe 2.0L TDI, has a great Reflex Silver Metallic exterior, and a clean Titan Black interior! Heated Seats, Leather Steering Wheel Satellite Radio, Aux Audio Input, Keyless Start AM/FM Radio iPOD Adapter This Volkswagen Beetle Coupe gets great fuel economy with over 39.0 MPG on the highway! New Battery Oil Changed Turbocharged, Stability Control, ABS Brakes New Cabin Air Filter Satellite Radio Front Wheel Drive Call to confirm availability and schedule a no-obligation test drive! We are located at 10812 S IH 35 Frontage Rd, Austin, TX 78748.